There is a great Kodi Reddit Add-on that allows you to view video direct from Reddit. We’ll talk you through how to install and it make the most out of it. 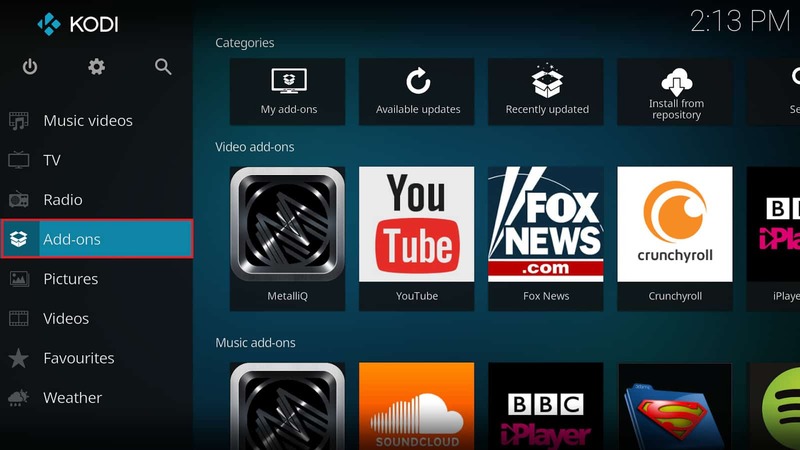 Kodi is free, open-source software which allows you to quickly and easily set up your own home theater system. One of its main advantages is the wide range of devices it can be installed on. You can install Kodi on everything from traditional Windows or Mac PCs to streaming devices like an Amazon Fire Stick, Roku, USB Flash drive, Nvidia Shield, Apple TV, iPhone or Raspberry Pi. With Kodi, there are two ways to access content. You can either play it directly from your device’s storage or stream it from the internet. To do this, you’ll have to install additional software, called add-ons. These scrape links from specific websites like Reddit and deliver the content to Kodi so that you can browse it all in one place, rather than having to visit the websites themselves. When people think of internet video sites, they often jump straight to YouTube or Vimeo, but Reddit has a lot to offer too. It may not be able to compete with YouTube’s colossal content library, but it does group its content far more effectively using subreddits. In this article, we’ll be walking you through installing and configuring a Kodi add-on named Reddit Viewer. 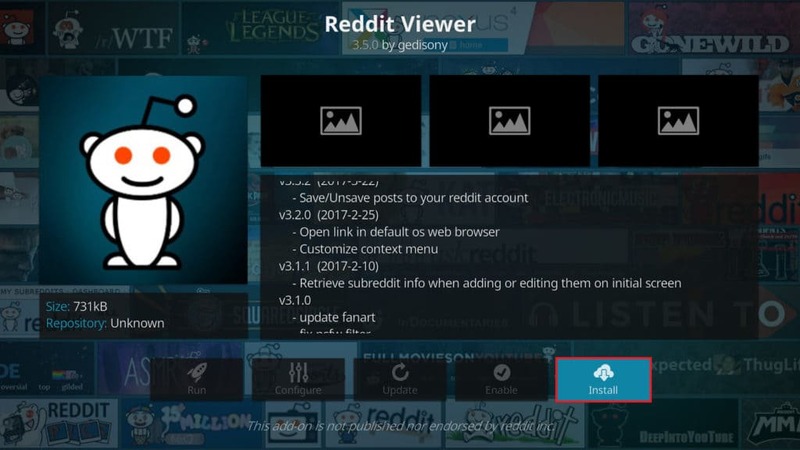 This will allow you to view images and video from Reddit directly using Kodi. 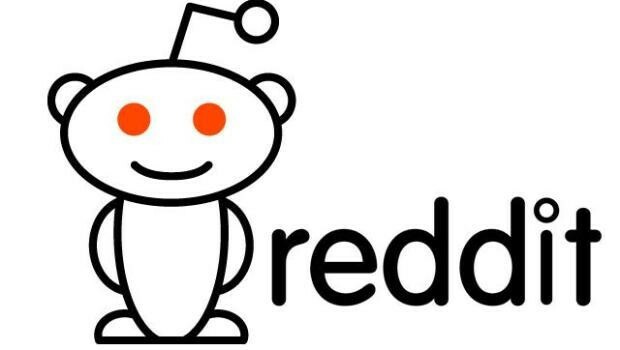 Installing Reddit Viewer is very simple, but don’t worry if you’ve never installed an add-on before as we’ll be walking you through it step-by-step. Before we begin, it’s important that you know the risks that come with using Kodi to stream content. Any add-on that you install, whether it’s official or third-party, can be hijacked. If this happens, an attacker could potentially infect your computer with malware or worse, steal your personal information and online login credentials. Even your own internet service provider (ISP) wants to keep an eye on your activities. While they aren’t going to do anything as nefarious as a hacker, they have been known to slow down the internet speeds of users who frequently stream content online. This can even happen if you’re subscribed to an unlimited data plan, and if you aren’t doing anything unlawful. Thankfully, there is a way to stop any outside observers from knowing what you’re doing. By downloading and installing a reputable virtual private network (VPN) service, you can encrypt all incoming and outgoing traffic. This keeps your browsing history and activities private and renders most Man in the Middle (MitM) attacks useless. Also, because a VPN allows you to connect to servers in other countries, region-locked content will no longer be inaccessible to you, regardless of your location. Of course, your protection is only as strong as the company which provides it. There are plenty of free VPN services out there, but many of them slow your browsing speeds down to a crawl and some even include malware. We recommend IPVanish – unlike most of their competition, this company maintains their own servers and infrastructure, meaning your speed doesn’t suffer. If anything, IPVanish can even improve your experience with Kodi. It works with every add-on that we’ve tested, plus its speeds are high enough to provide you with uninterrupted access to your content. It can even help resolve buffering issues caused by your ISP throttling your connection. It can also be installed on portable devices like the Amazon Firestick, allowing you to remain protected even when away from home. Additionally, IPVanish don’t keep logs of your activities, which means that your ISP can’t find out if you’re streaming, even if they ask IPVanish directly. 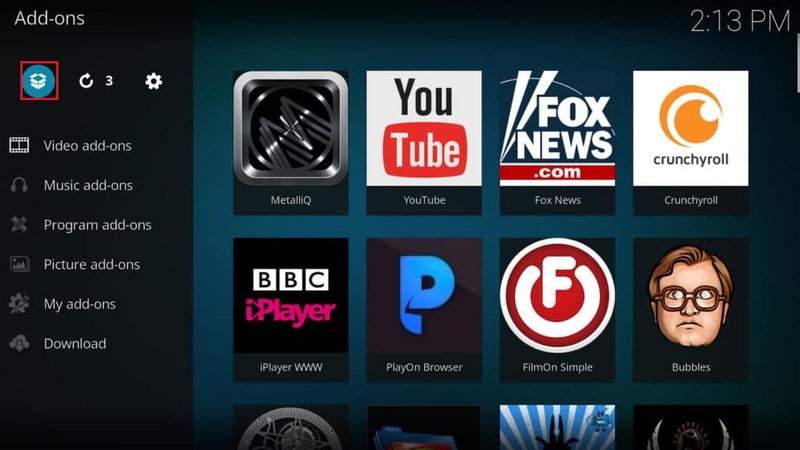 The first step is to install Kodi if you haven’t already. To do this, enter https://kodi.tv/download into your browser’s address bar. Kodi can be installed on a number of different platforms, so choose the operating system you’ll be using, and the version of Kodi that you’d like. Once you’ve done this, the installer will begin to download. It should only take a minute or so, and once it’s downloaded, click it and follow the steps to install Kodi. To begin, we’ll have to open Kodi. Scroll down the list on the left of the home screen and click on the option which says Add-ons. Next, click on the icon which looks like a box. It’s in the top left-hand side of the page. You’ll find yourself on the add-on browser page. From here, click Install from repository. Usually you’d have to install the repository first, but since the Reddit Viewer is in the official repo, it isn’t necessary this time. 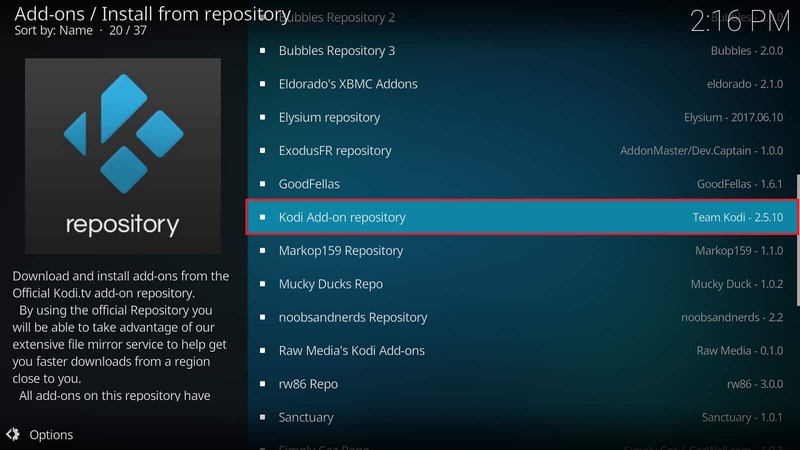 Scroll down the list of installed repositories until you find one called Kodi Add-on repository. If you’re using a new Kodi installation, it will be the only repo here as it comes preinstalled. 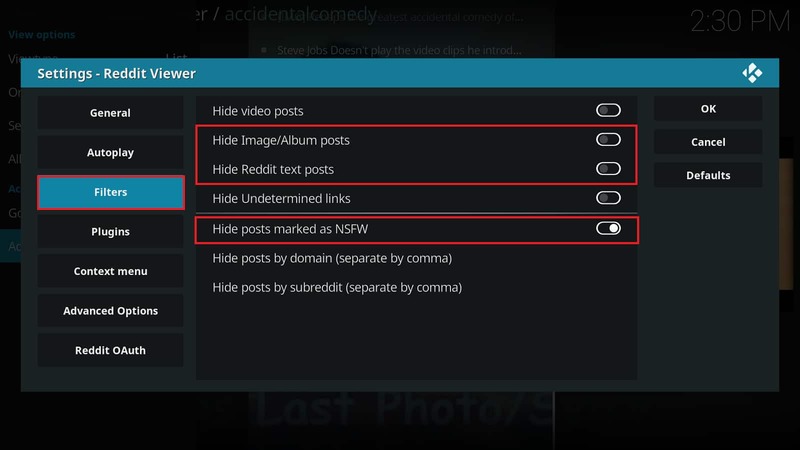 Click on Video add-ons and find the one named Reddit Viewer. Click the button marked Install at the bottom-right of the next screen. You don’t technically have to do anything else once the Reddit Viewer add-on is installed, but given how well Reddit’s content is organised, it’d be a shame not to. When you open the add-on, you’ll find that some of the most popular video subreddits are already accounted for. However, you can also add others to the list if you’d like. 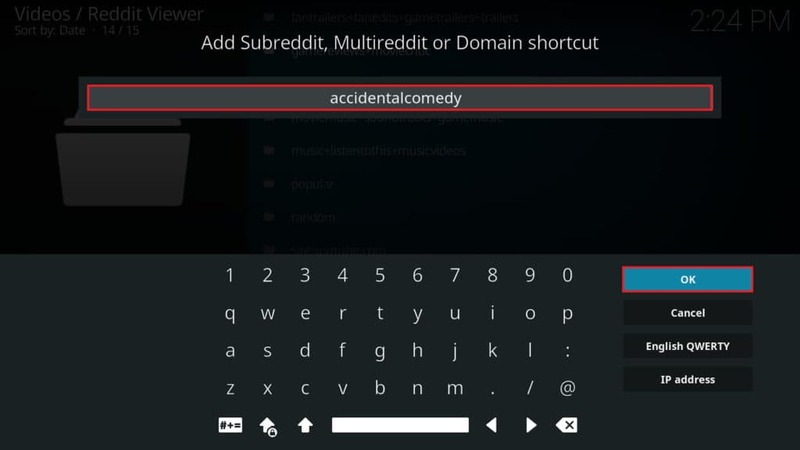 To do this, simply scroll to the bottom of the list and click on Add Subreddit, Multidomain or Domain shortcut. In the text box which appears, enter the name of the subreddit you’d like to add. When you’re done, click the OK button. Note: enter only the subreddit name, with no other details. For example, entering “accidentalcomedy” would be fine, but “r/accidentalcomedy” or “www.reddit.com/r/accidentalcomedy” would not. You can also enter Reddit usernames instead of subreddits. This will show you all of the threads that user has submitted or posted in, and gather all of the images and videos they contain. The syntax for this is slightly different: you enter “/user/” followed by a username. The Reddit Viewer settings menu offers several helpful options you might like to take a look at. To get to this menu, right click on the add-on’s icon or click the Options button in the bottom-left of the screen. The first option you may want to change is Items per query, under the General tab. This simply changes the number of results you’ll see per page. Higher numbers deliver more content in one go, but increases the time it takes to see results. The Filters tab is one you should definitely visit. It allows you to choose whether or not to see image and text-based posts alongside video results. There’s also a not safe for work (NSFW) toggle – this hides content aimed at mature viewers. It’s on by default, but can sometimes be overzealous, filtering out songs with explicit lyrics as well as more adult content. 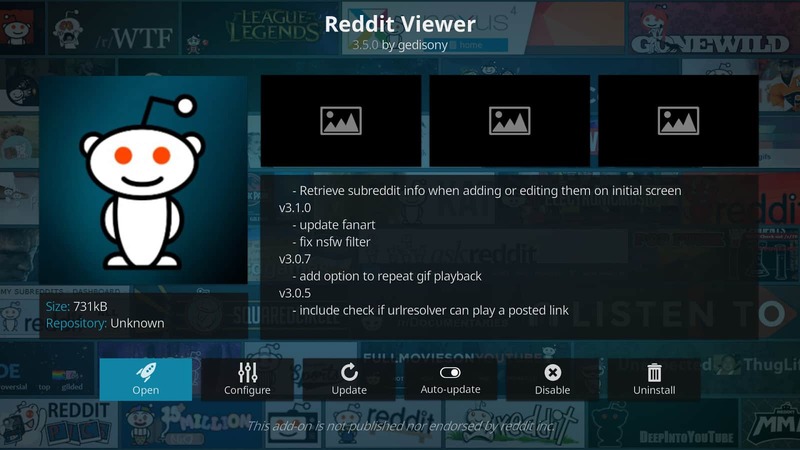 Reddit Viewer is a simplistic, user friendly add-on for Kodi that allows quick access to content that spans a multitude of different genres. Although you can’t send messages or upvote content, it provides an easy way to browse Reddit on a large screen, and that alone makes it an add-on worth installing.